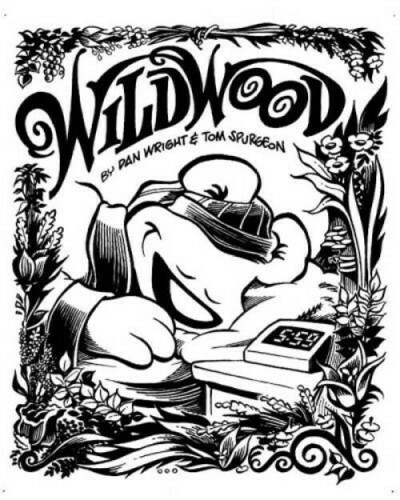 Wildwood is the newspaper comic strip that I wrote with Dan Wright, its artist and creator, from 1999-2002. It was originally called Bobo's Progress. Perhaps the first newspaper strip with an overtly Christian theme, Wildwood never quite took off with readers or newspaper editors. Eventually, Dan decided to end the strip. Wildwood was intended to be an Andy Griffith Show-style comic about life in an imaginary rural church. The bear (Bobo) and the rabbit (Lenny) pretty closely adhere to the Andy Taylor/Barney Fife dynamic -- a wise but slightly naive rock of the community and his high-strung, self-indulgent but good-hearted friend that nobody else understands. The phobic penguin (Stu) was my favorite character to write by a wide margin, and the only voice I still miss two and more years after the strip's conclusion. I felt like the fox (Carol) was potentially a strong, funny character, and I'm happy we made her so admirable because of how much I admire the clergywomen I know; however, I never really got the hang of writing her. I don't own any of the work I did on Wildwood- it's all copyright Dan Wright - but as I'm proud of it and as this site serves in some ways as a showcase for my writing, I thought I'd stuff a few here as samples of my comics work and hope no one yells at me to take them down.